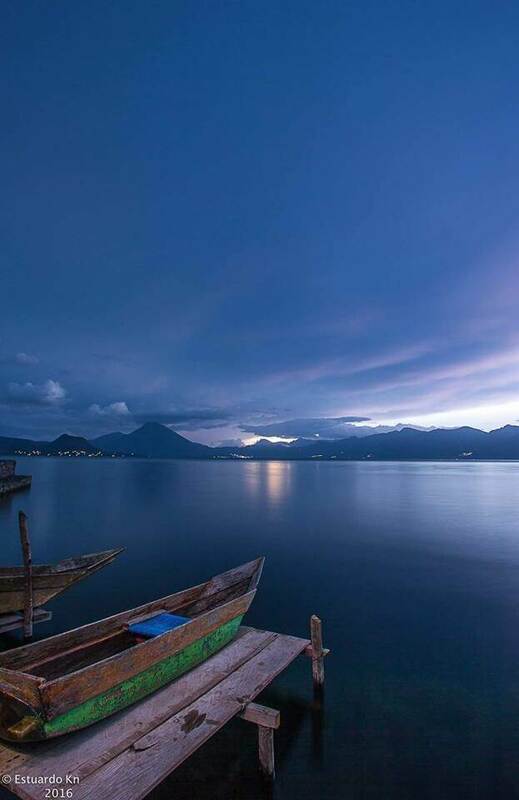 Rated #1 on Tripadvisor, best tour option to see the most of Lake Atitlan a single day! Schedule a private Lake Atitlan tour from Antigua area and explore San Marcos, San Juan and Santiago by private boat. Full day trip takes you from one end of the lake to the other. Travel by private boat to the villages of San Marcos, San Juan and Santiago, with time to explore each village. Antigua area day begins with a shuttle pick up at your Antigua hotel. Enjoy a scenic ride thru higher elevation highlands rich in agriculture and cloud forest. You guide for the day meets you as you depart the shuttle at the shore of Lake Atitlan. Board your private boat where you depart for the west end of the lake. You get to see the villages of El Jaibalito, Tzununa, San Marcos, and San Pablo as we make our way along the north shore. Your first stop is San Marcos, where we stop to explore the many holistic healing centers for meditation, yoga, healing, etc. There is an option for cliff jumping if you dare. Then we depart the north shore for San Juan, the “Swiss village” of Lake Atitlan. You will spend approximately 2 hours on a guided walking tour where you visit art galleries, woman’s weaving cooperatives, a medicinal and curative plant garden. 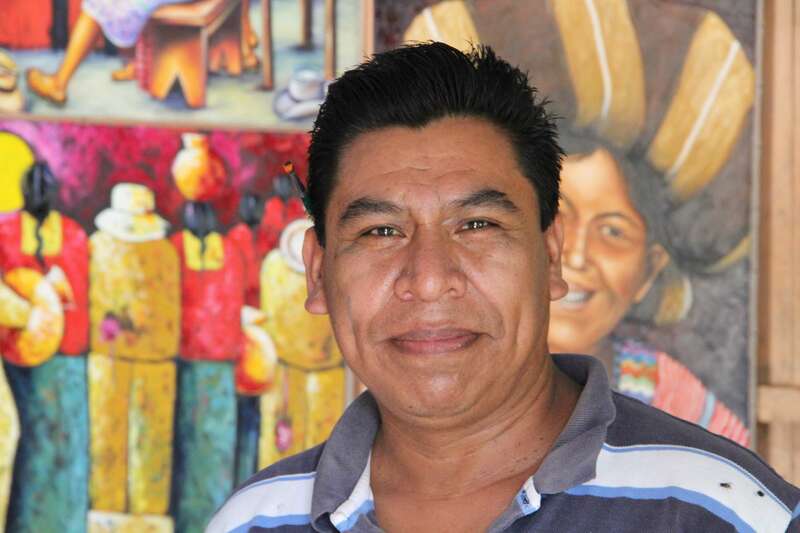 Several famous painters are from San Juan and we visit their galleries to see them at work. Includes demonstrations showing how the beautiful fabrics are made; from harvesting the cotton, to spinning it into yarn, dyeing the yarn, and then creating one of-a-kind fabrics with the back strap loom. You visit the original weaving cooperative that started the hand spun cotton and natural dye movement in San Juan. Casa Flor Ixcaco offers the best demonstration. The medicinal and curative herb garden is operated by the midwives of San Juan. You are guided through the garden and given samples of each plant along with a description of its curative powers. All natural soaps, teas, and shampoos are made on the premises. There are no entrance fees at the cooperatives. Your gift purchases or donations are how these centers function. Your third stop is Santiago. The bay of Santiago is a photographer’s dream. We take a tour along the shore of the bay before we start our walking tour. Your first stop is a visitor center that offers insight into the life of the Tzutujile Maya. 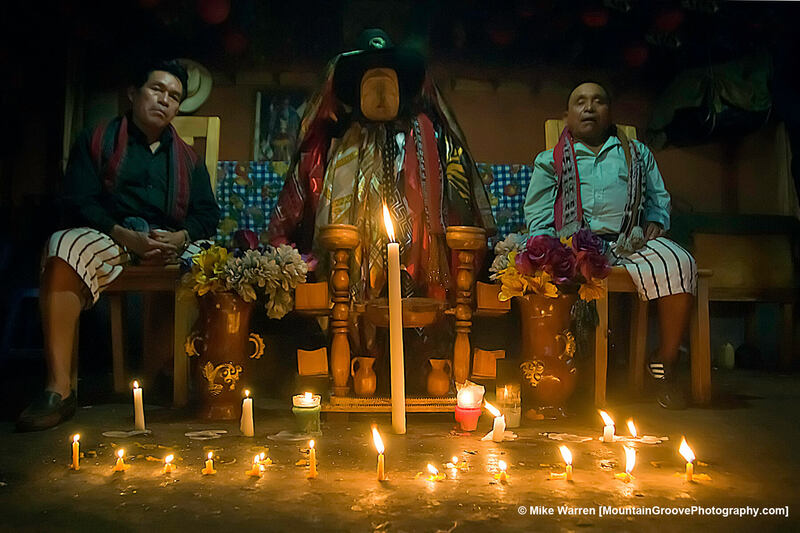 There are interpretive displays on the history of the traje (traditional clothing), spiritual beliefs and Maximon. We tour the local church and visit Maximon. The Mayan visit Maximon to ask for healthy crops, to help cure illness, to find love, or to cast a spell on a neighbor. Be sure to buy some candles, cigarettes, or liquor to make your own offering!!! A small fee “offering” is required for admittance.The Catholic church was first constructed in 1547, and the church has two wooden alter pieces from the original 1500’s, as well as other ancient artifacts. It’s rustic design is quite different from the colonial style churches seen in the Antigua area. This was the sight of many incidents during the 30 year civil conflict, and ultimately lead to the murder of Father Stanley “Alpa” Rother in 1981. We visit Father Rather’s personal living quarters, learn about his efforts to help the villagers during the war, and discuss the history of the war. You return to the boat for a relaxing ride back to Panajachel or Santa Cruz. Schedule your private Lake Atitlan tour from Antigua area and explore San Marcos – San Juan – Santiago by private boat now. Meals not included.